It is important that Bed & Breakfast owners continuously look for ways to grow their business. This is a matter we here at Stewart Hindley always stress the importance of. As we are committed to being as supportive as we can to our clients we always highlight opportunities for achieving growth. One of the strongest such opportunities at this time is the electric vehicle market. The rapid growth in sales of electric charged cars over the last 4 years has been quite remarkable. In this article we will look at the facts and figures of them, and the ways in which your Bed & Breakfast can be made an attractive destination for owners of them. Earlier in this article we mentioned that grown in this market had been rapid. This, if anything, is an understatement. In 2013 there were 3,500 registered electric cars on the roads in the UK. By November 2017 this had risen to 125,000. The universal expectation across industry analysts is that 1,000,000 registered electric vehicles shall be reached as early as 2022. The main challenge to reaching this figure is the number of charging points. At present there are 14,000 charge points for electric vehicles in the UK. Whilst that figure in itself sounds high, it is considerably short of meeting the growing requirement for them. Despite incredible advances in the technology behind them it remains the case that the average fully charged electric vehicle has a maximum range of some 150 miles. A high level of support is available for businesses wishing to install electric vehicle charge points. This is something all Bed & Breakfast businesses must give consideration to. From the above it is clear that offering a charge point at your business is a highly attractive feature. Having an electric vehicle charge point available at your Bed & Breakfast could be the determining factor in guests choosing to use you rather than a competitor. One of the concerns about this which Bed & Breakfast owners will have is the cost of installation. These can, as you might imagine, be quite high. There is, however, considerable financial support available for businesses looking to install electric vehicle charge points. The UK Government is highly committed to ensuring electric vehicles are a success. One of the incentives in place to encourage this comes in the form of financing for charge points. 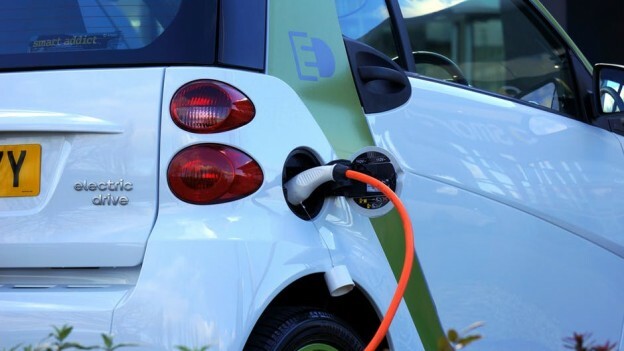 Grants, subsides and shared cost initiatives are available from a number of Governmental departments, in particular the Office of Low Emission Vehicles and the recently establish Workplace Charging Scheme. With support in terms of financing and expertise in place at Stewart Hindley we firmly believe now is the perfect time for Bed & Breakfast owners to explore the business potential offered by installing electric vehicle charge points. The specialist financial experts here at Stewart Hindley are here to help you secure the best commercial loan for your Bed & Breakfast business. We always seek to go beyond this, offering as much comprehensive advice for success as we can. Highlighting the potential for success with electric vehicle charge points is just one of the ways we deliver this. For more information on how we may be of service to you please get in touch. You can call us on 01488 393042, or drop us a message through our website. We’d be delighted to discuss your plans and requirements, exploring the ways we can help you achieve them.